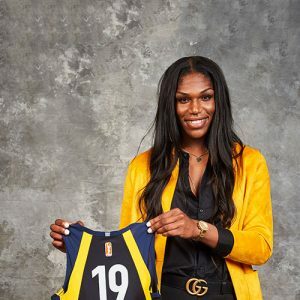 Stats: Erlana Larkins shifted between being a starter and coming off the bench during her sixth season with the Indiana Fever. Larkins played in all 34 of Indiana’s games, starting in 17. For the season, Larkins averaged 4.9 points, 4.2 rebounds and 1.1 assists per game, while playing 18.8 minutes per contest. 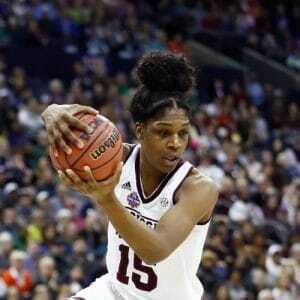 She shot 58.1 percent from the floor and 91.2 percent from the free-throw line. May 20 vs. Connecticut: Larkins played a huge role in an early season win over the Sun, as she finished with 12 points, nine rebounds, two assists and a season high five steals. June 18 vs. Chicago: In a 91-79 win over the Sky, Larkins shot 7-of-10 from the floor en route to finishing with a season high 16 points. She also compiled three rebounds, two assists and a steal. 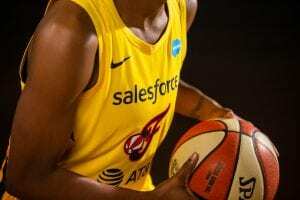 August 6 vs. Minnesota: Larkins may not have scored a lot of points in an 84-82 win over the Lynx on August 6, but two of her seven turned out to be the most crucial. 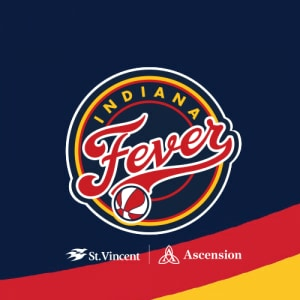 Her putback layup with 8.2 seconds left in the game put the Fever ahead for good in what would be the team’s biggest win of the season.